Selecting a real estate agent to help you buy a home is the first step on your journey, and an important step at that. So keep in mind this is a business relationship and their ability to work on your behalf will determine, at least indirectly, the quality of the home you will be able to buy and how much you will be able to spend. With that being said, make sure that you select from a pool of prospects. To identify prospective agents, you can ask for referrals from family or friends in your new location, the National Association of Realtors or even visit websites like Trulia and Zillow to read over real estate agent reviews. Also, as you begin looking for homes on various websites, feel free to email agents and ask them to help you in your search. The ones that respond in a timely manner and with relevant content should be considered strong candidates. Your new home will be one of the biggest investments that you’ll ever make, so do not be concerned as to whether or not you are a bit picky about whom you select to help sell or buy. When interviewing the prospective agents, don’t be afraid to ask the difficult questions. You want an agent who is personally and passionately familiar with your prospective community and someone who is willing to go the extra mile on your behalf. If you are selling your home, keep in mind that signing a contract for three to six month is usually the norm. For high-net worth home ($1 million+), agents may request a year. What experience and background do you have? CRS (Certified Residential Specialist): additional training in handling residential real estate. ABR (Accredited Buyer’s Representative): additional education in representing buyers. SRES (Seniors Real Estate Specialist): training aimed at helping buyers and sellers in the 50+ age demographic. “R”ealtor: a realtor with a capital “R” that implies a National Association of Realtors membership. By hiring a Realtor, you have enlisted the assistance of an agent who formally pledges to support the code of ethics. What is the level of support and assistance that you receive from you brokerage? A real estate broker or real estate agent acts as an in-between with the sellers and buyers of real estate and tries to identify sellers who want to sell and buyers who want to buy. And according to industry experts, it is essential for the agents of the brokerages to have at least one assistant. An established brokerage with many agents may have a team of specialists to assist them in the process, which is also something to consider. 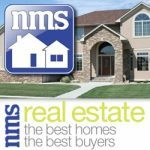 Furthermore, advertising a home is more than posting pictures on the MLS, as there are various outlets that a realtor may use, make sure to ask about their marketing plan when selling your home. How many clients are you currently working with and for how long? Apart from giving you some insight into the agent’s background, this will be an important question to ask when you are trying to measure how the agent will prioritize your needs while working on your behalf. An agent that is understaffed and overstretched will be unable to truly provide the assistance that you need, which is why asking this question to a variety of agents and then comparing them will provide you with an understanding of who is best equipped to serve your needs. Will you exclusively represent me or will you represent both the buyer and the seller in a transaction? Though it is typically legal to represent both parties in a transaction, it’s important to understand where the realtor’s commitments reside. The agent should be able to explain his or her relationships to you and thoroughly describe the rights of both each party. Make sure to avoid conflicts of interest. What type of communication frequency can I expect from you? Communication with a realtor is important and establishing expectations early on will avoid any problems in the future. This would entail uncovering what type of news you’ll be updated on, the frequency of the updates and how exactly the agent will communicate with you. Also, if you are a buyer, there will be a number of particulars to handle even after a seller has accepted your offer, such as home inspection, mortgage paperwork, and title search. By establishing clear lines of communication ahead of time, you may avoid a lot of headaches in the end. What are the drawbacks of buying or selling this property? This may seem like a strange question, but asking a real estate agent to assess the flaws of the home is not only a great way to learn more about the value of the property that you are buying or selling, but also about the agent. If the agent tells you what sounds like valid weaknesses, then you know he or she is seasoned and has a sharp eye. Additionally, you’ll be able to assess the honesty of the agent and judge whether or not he or she is just trying to get you to sign a contract. When buying or selling a property, you should always request references from your real estate agent. It is recommended that you contact a few of them, asking previous clients about their experiences with the agent. Was it easy to communicate with him or her? Would they recommend him or her to their family? Were they happy with the end result? When will I have a comparative market assessment for the area I am considering? All real estate agents should be able to provide a comparative market analysis (CMA), which is a listing of homes currently on the market for sale and recently sold properties of similar characteristics within the area. The CMA, also known as the “comps”, will provide the details of a home as compared to similar homes on the market, including key metrics such as price, number of bedrooms and bathrooms, and square footage. What are your thoughts regarding the long term trends of the area? As mentioned previously, your agent should have a command of the issues and trends affecting your community. Apart from being able to point to the price trends, additional information may include things like neighborhood activity, crime rate, street maintenance, new public parks, and the type and number of small businesses in the area. How do your realtor fees and commissions work? Toward the end the interview, you’ll need to talk about money. The majority of agents won’t charge a flat fee, but instead take a percentage of the final sale price. While the percentage varies with each agent, the commission is typically 6% of the selling price. This can be quite large, so if you are selling, you may want try to negotiate, and your ability to do so may depend upon the condition of the market. For example, in a thriving real estate market, commissions may be low because homes are easier to sell. On the other hand, when the market is tough, an agent might be less likely to negotiate. A site like Trulia can help with this. By going through the “Local Info” tab, it creates a map of the selected ZIP code, and allows the user to overlap trends, schools, commutes, school qualities, and even amenities. Additionally, both Trulia and Zillow provide market assessments that track the history of the price, allowing you to see the course of home prices in a specific neighborhood. Realtor.com provides you with a good idea of what home prices are going for by clicking the “recently sold” tab. Make a brief list of your needs vs. wants and then set a price point that you will not exceed. Use this as your guiding metrics when searching for the homes in the databases. It is very easy to get lost in the lifestyles of the rich and famous, but being realistic as to what you are looking for will save you time in the long run. You can also filter down the process to see only foreclosures, new construction, etc. Mobile apps are a convenient method to investigate listings and navigate between open houses while on the go. You can view historical pricing trends, follow homes you are considering for purchase and record notes about each site. Apps from platforms such as Zillow, Trulia, Realtor.com allow you to take pictures and save them with the proprieties, adding additional details that aren’t provided in traditional listings. Also, some of these apps will send text messages or emails to update you on the properties that you are pursuing. If you’re like most people today, you will start your house hunting journey on the internet. While this is not meant to replace the duties of your real estate agent, it is a great way for you to better understand the process and accelerate your ability to find the home of your dreams. Indeed, as the real estate industry becomes more intertwined with the web, potential buyers are increasing at ease to search through neighborhoods, inspect the exterior of properties, and view the kitchen’s layout all from the computer. Though this new found flow of information can assist you in finding the perfect house; it can also provide the feeling of information overload. The following are a few recommendations as to how you can make the search for your new property as efficient and effective as possible. Though going online is a good way to begin checking out properties; by itself, this is not the best way to select an agent. Similar to how businesses can pay to be featured on top of a search engine, agents too can finance placement along with the search rankings and create an image of professionalism. Terms like “VIP” and “Pro” agent are used on a number of sites, which implies little more than the agent was willing to pay for this classification. While it is important to evaluate the agent reviews, selecting an agent also includes word of mouth, interviewing, and checking references. Finding faults in a home doesn’t necessarily mean you shouldn’t buy it. But it will help you to know the type of repair costs that should be anticipated, and sellers often will make adjustments in their asking price on the basis of problems discovered in an inspection. Check pavement, driveways and horizontal brick surfaces for cracks. Is there damage from freezing? What is the condition of the mortar between the bricks? Is any pavement buckling from spreading underground tree roots? Open the door on the fuse box or circuit-breaker panel. Is the electrical service adequate? The average house should have 100-amp service. Is it wired for 220 volts, which is necessary for electric dryers and ranges? Is the house well maintained? Does the roof sag? Are the exterior walls out of line? What is the condition of the paint, especially on the south and west sides, where sun exposure is greatest? Is there adequate drainage away from the house? How old is the heating/cooling system? Has it been maintained? Ask to see the owner’s cooling bills for the previous year. This will give you an idea of its energy efficiency. Check the attic and crawl space. Is the insulation adequate and complete? Has it been properly installed? Does the insulation obstruct the air vents, preventing the house from “breathing” and possibly causing wood rot? Does the home have storm windows? The kitchen and baths are the most expensive rooms to renovate, so check their condition carefully. A newly-painted interior may look nice, but it could be hiding something. Turn on the bathroom sink faucet and shower and then flush the toilet. When the toilet starts to refill, does the water pressure diminish? Fill sinks and tub with three inches of water. Do they drain properly? Do faucets leak? Lift up the carpeting. Are there any signs of flooding or decay? Are shingles curling and lifting? Find out how old the roof is, and you will have a pretty good idea of when you will have to replace it. Look for evidence of termites and carpenter ants on basement wood framing. Is there saw dust like wood or paper debris? Can you find evidence of termite tubes or tunnels? Termites live in earth, so make sure that there are no places where earth is closer than six inches to wood. Like termites, carpenter ants like wood and wood products. Look in the basement for signs of leakage. This could be a result of poor drainage around the house. Water damage also is caused by seepage through porous basement walls and condensation, which frequently is caused by inadequate ventilation. Basement walls painted a dark color may be an effort to disguise a past problem. Beware of chalky white water stains on foundation walls or partitions; stains on wood and drywall; delamination of paneling and lifting or buckling floor tiles; or a damp, mildew odor. Has the glazing putty dried and shrunk, allowing water and air seepage? Is the wood decayed? Are the window and door frames caulked and weather-stripped? In the often complex process of buying a home, negotiations can be stressful and challenging, and when doing so you should make sure that you understand what it will entail and how to gain a competitive advantage. Depending upon the conditions of the market, your tactics will change. Typically, when it is a seller’s market you will encounter bidding wars and fast moving properties and when it is a buyer’s market you will have more time to negotiate with the seller due to the lack of demand and pricing pressure. Nevertheless, you will still have to have to do a lot of homework on your end before you make an offer in addition to knowing when to walk away, stay persistent, and how to drive down the price. The following are some tips for those negotiations. The local market condition is one of the most important factors in the negotiations, with differences between city and city affecting buying and selling strategies. Markets vary from place to place and neighborhood to neighborhood, thus the first thing to figure out is what type of market you are in i.e. a buyer’s market, a seller’s market, or a balanced market. Essentially, you will have more room for negotiation in a buyer’s market because there are excess home from which you can choose and the seller is at a disadvantage. From a seller’s perspective, this is a difficult place to be especially if they are selling to due to distress. This will allow you to ask for more on your end, and while they may not like your demands and price, they need to sell, thus you should have control of the negations. After understanding your market, one of most important things to do is your homework on your dream home. After finding the house to buy, learning about the neighborhood and the schools, you need to begin looking at the numbers surrounding the property. How long has the home been on the market? What are the selling prices of similar homes on the market (this will come in the form of a Comparatives Market Analysis that should be provided by a real estate agent)? Compiling plenty of comps that are selling for less than the home that you want only strengthens your case to reduce the price and undermines the ask of the seller. Sites like Trulia and Zillow can provide information as to how long the home has been on the market, prices of other homes within the neighborhood, and even if the seller has reduced the price (which will provide you with insight as to their willingness to negotiation). You can even learn if the home has been owned for a long time or was recently bought and sold. 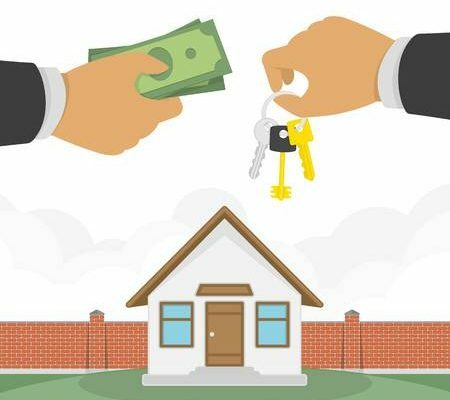 In conjunction with the information that the agent may provide you, if you begin the negotiations equipped with information and facts to back your offer, it will increase the probability that the seller will lower the price, as opposed to just making a low-ball offer without any sort of justification. When you are about to extend your initial offer, do not offer a hard number, instead offer a range such as $300,000-$320,000. Sometimes, an offer of an exact number that is perceived as too low can anger the seller and disrupt the negotiations. A price range provides you more flexibility. Additionally, if you manage it properly, it will create the impression that you are willing to work with the seller while potentially forcing driving them down on the price. For example, let’s say the house you want to buy is going for $400,000 and you want to spend is $390,000. Along with a few justifications (neighborhood comps are $370,000, the home will need remodeling, stucco is a dated look, etc.) you provide a price range of $350,000-$380,000. Now even if the buyer comes back with $395,000 and you counter with a range of $370,000-$380,000, you are still driving to your price goal and creating the appearance of flexibility. Ideally, the seller would be engaged and willing to reciprocate and you two finally settle at $390,000. 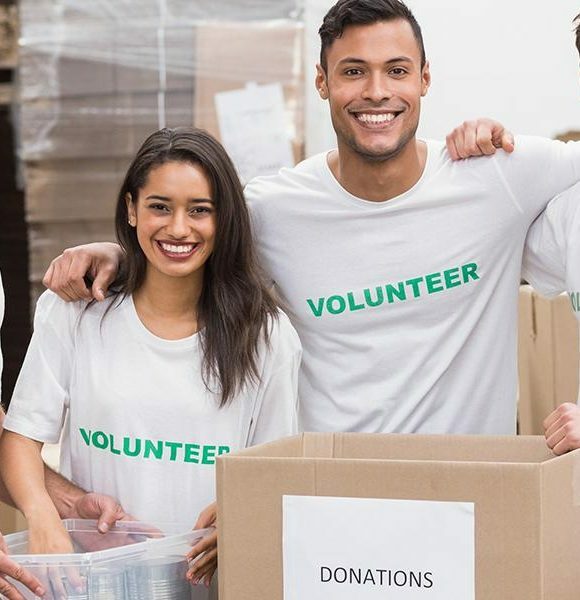 While agents are taught to keep the buyer and seller separated, instead of handling the negotiation process by phone and email, it can help your cause if you try to meet the seller in person. In any sort of encounter, you should never look anxious to buy. You should be unemotional about potential homes and appear that way at all times. Highly qualified, data-driven, and not ready to settle on just any property-this should be the attitude that you display. This can be one of the best ways to influence and persuade the other party, since it is much easier to say no to an email or fax as opposed to a person. Additionally, this may be a great way to find out more information about the seller’s motivations, which could help you in your negotiations. Similar to the fact that the seller won’t tell you why the house is on the market, you should never provide the exact amount of money that you are willing pay for a home and you should never appear over anxious to purchase the home. While it exciting to be buying the home that you have always wanted, take a deep breath, relax, and put on your poker face. It safe to say that if the seller or their agent perceives that you can pay more than you are currently offering, then he or she will probably be much less willing to give in on the price. So it is important to be seen in the most unassuming light possible. Do not go to the home in a high-end sports car, wear your Rolex, or begin discussing your expensive collection of French wines. The key here is to reveal as little information about your own finances as possible. Just as you want to prevent the other side of the table from acquiring information about your motives, the seller is most likely in the same situation. With that said, you should attempt to acquire any information possible on the seller’s motives, as that could provide you leverage in the negotiations. Perhaps the sellers are retiring and looking to downsize, which would lead you to believe that they are in no real hurry to sell. Or maybe they just landed a new job and need to move quickly, thus the possibility of them coming down and settling on a price as soon as possible. While you might not get these answers, particularly if their agent has told them not to provide any information, you may be able to gather some insight as to their ability to negotiation by extending an offer and evaluating their counter. If the seller will not come down off of the asking price and the home has been on the market for quite a while, then he or she is probably in no big hurry. However, if the home is new on the market and the seller responds immediately with a counter that is higher than your price, but lower than theirs, the seller’s urgency may be in your favor. If the seller is set on a certain price and not willing to budge, you should ask for concessions in order to reduce your total costs. There are a few line items that the seller may be willing to cover such as closing costs, repairs to the home, inspection fees, and realtor fees. Given, this will not be taken off of the selling price, but you will still be saving money in the transaction. So maybe you are in the process of searching for a home and you come across the property that you have always wanted. It’s just within your price range, perhaps a bit above what you had hoped, and you decide that if you cut some costs here and there, you will be able to afford it. However, there are additional costs to consider beyond the asking price, which should also be factored in when looking to buy. The hidden costs of buying a house can be complex and not immediately recognizable to the untrained eye. Additionally, once the property is purchased maintenance can be expensive, and if you aren’t prepared for these costs, you may come away from the experience feeling as if the transaction was overwhelming, you are underfunded, and that you need to take on a second job. In order to prevent you from falling into this trap, here are the Top 10 cost considerations that you need to take into account. Before you are able to actually buy the property, your mortgage lender will require you to have the property evaluated by a professional appraiser. Lenders use such appraisals when determining the amount of money to offer mortgage borrowers. In the past, costs were often included with the fees that borrowers paid at closing, however now appraisers want to be paid up front. This fee will usually cost between $350 and $450. As discussed in the “Home Inspection Mistakes” section, not having the home properly inspected can be a blunder. To be sure, it is worth the extra money to hire a professional. Apart from being able to highlight parts of the home that are in need of repair, he or she can provide you with useful information that can be leveraged during the price negotiations. 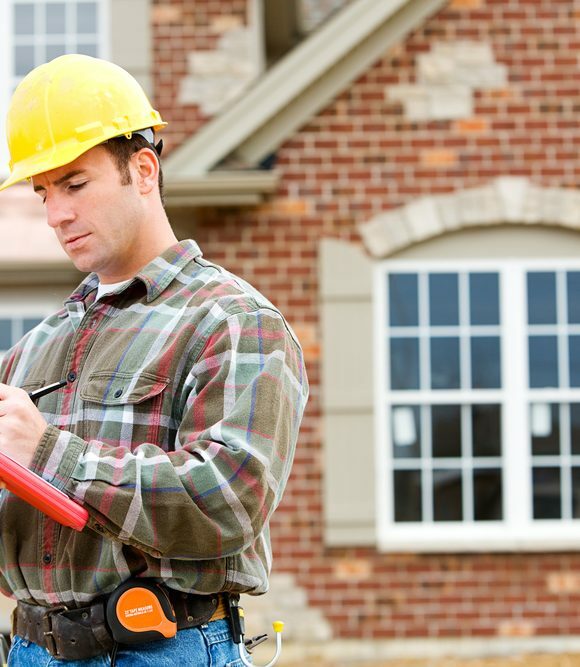 The cost of a home inspection is typically around a few hundred dollars. It is recommended by professionals that a homebuyer hire a pest inspector in order to ensure that the home is free from infestation. While there are no laws mandating this and some lenders do not require them, in the long run, it is usually for the best. If for some reason you buy a home and it is infested with termites, well that home is yours and there is generally no recourse. Termite inspections usually cost between $110 and $200. Closing costs can add up quickly and should be considered immediately when looking at the asking price of a home as they must be paid in order to qualify for the loan. These costs include underwriting fees, processing fees, survey fees, recording fees, and title insurance fees. 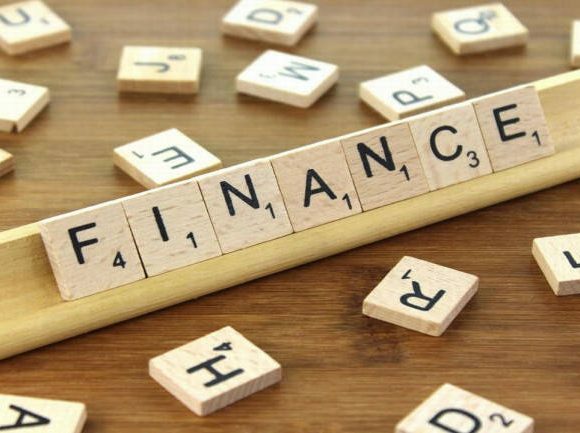 While these can be a bit convoluted and difficult to follow, one way to hedge against these costs is to ask the lenders when you are shopping around for a loan for a “good faith estimate” that outlines your estimated closing costs in detail. While there is no guarantee that they will provide them, a good rule of thumb to follow is to estimate that the costs are typically 2-3% of your total mortgage. This is something that many people forget to factor in when calculating their monthly payments, which can be very dangerous. To prevent against this, you should calculate your taxes in advance, which can usually be found on the MLS listing or provided by your agent, then divide by 12 and add that to your estimated monthly payments. Your insurance coverage will vary depending upon the condition of the property. How old is the house? How old is the heating, electrical, and plumbing? Also, your credit is considered a factor here, so what is your current FICA score? Do you live where there are floods, volcanos, tornados, or earthquakes? You will need to acquire hazard insurance if you do. The yearly costs of these insurance premiums will typically range between 0.5 to 1% of the mortgage loan amount. 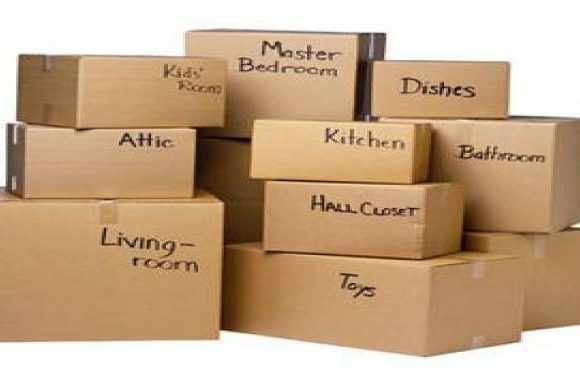 Unless you have an army of children or friends helping you, you are probably going to need to hire professional assistance when it comes to packing everything up. These expenses can reach a few thousand dollars, especially if you are moving across country. However, some employers offer relocation assistance, which can help reduce this expense. Don’t forget to ask! While plenty of people will tell you that you should expect to get 20 years out of a furnace, the industry rule is to expect about 10 years. Also, it is important to consider efficiency, so instead of repairing an old furnace, it may make sense to simply replace it. The key is to make sure you know what type of furnace you will be getting when you buy a home. If you are moving from an apartment to a home, it is quite likely that you will need to purchase new furniture to fully furnish your new home. These costs can add up, as a new bed, tables, and chairs can run in the hundreds if not the thousands of dollars. Though some maintenance can be predictable, repairs are typically the most expensive part of owning your own home. The unexpected repairs are some of the most painful, such as replacing the water heater, loose tiles in the bathroom, removing dead trees; the list is seemingly endless. The best thing to do is to set aside a part of your savings for such emergencies, as most real estate experts suggest saving 1-2% of your mortgage balance in an annual maintenance fund. Adjustable-Rate Mortgage (ARM) Loan with an interest rate adjusted according to movements in the financial market. Many offer lower-than-market initial interest rates that rise only gradually for the first few years. Annual Percentage Rate (APR) Annual cost of credit over the life of a loan including interest, service charges, points, loan fees, mortgage insurance and other items. Appraisal Unbiased, professional opinion of a property’s value based on its style and appearance, construction quality, usefulness and the value of comparable properties. Assessment Tax levied on a property or a value placed on the worth of a property by a taxing authority. Assumption Transaction allowing a buyer to assume responsibility for an existing loan instead of getting a new loan. Broker (Real Estate) Person who receives a commission or fee for bringing buyer and seller together and assisting in the negotiation of contracts between them. A license is required in most states. Building Code Local regulations controlling design, construction and materials used in construction. Building Codes are based on safety and health standards. Buydown Subsidy, usually paid by a builder or developer, to reduce the monthly payments on a mortgage loan. Buyer’s Agent A real estate agent who represents only the buyer in a real estate transaction. Callback Request by a homeowner for a builder to handle a service request. Cap Limit to the amount an interest rate or monthly payment can increase for an adjustable-rate loan either during an adjustment period or over the life of the loan. Certificate of Occupancy Document from an official agency stating the property meets the requirements of local codes, ordinances and regulations. Chain of Title History of all documents transferring title to a parcel of real property, starting with the earliest existing document and ending with the most recent. Change Order Homebuyer’s written authorization to add, delete or change an item specified in a contract. Closing Costs Charges paid at settlement for obtaining a mortgage loan and transferring a real estate title. Commission Agent’s fee for negotiating a real estate or loan transaction, often expressed as the percentage of the sales price or mortgage amount. Conditions, Covenants and Restrictions (CC and RS) Standards that define how a property may be used and the protections the developer makes for the benefit of all owners in a subdivision. Contingency Condition that must be met before a contract is binding. Convertibility Ability to change a loan from an adjustable rate schedule to a fixed-rate schedule. Deed Legal document representing property ownership. Default When a borrower fails to make the required payments of a mortgage contract. Density The number of homes built on a particular acre of land. Allowable densities are determined by local jurisdictions. Debt-To-Income Ratio Long-Term debt expenses as a percentage of monthly income; used by lenders to qualify borrowers for mortgage loans. Due-on-Sale Clause in a mortgage contract requiring the borrower to pay the entire outstanding balance upon sale or transfer of the property. Earnest Money Sum paid to the seller to show that a potential purchaser is serious about buying. Easement Right-of-Way granted to a person or company authorizing access to the owner’s land. For example, a utility company may be granted easement to install pipes or wires. An owner may voluntarily grant an easement or can be ordered to grant one by a local jurisdiction. Equity Difference between the value of a home and what is owed on it. Escrow Handling of funds or documents by a third party on behalf of the buyer and/or seller. Escrow Amount Amount set up by a lender into which periodic, usually monthly, payments for taxes, hazard insurance, assessments and mortgage insurance premiums are made. Funds are held in trust by the lender who pays the sums as they become due. Fair Market Value Price at which property is transferred between willing buyer and willing seller, each of whom has reasonable knowledge of all pertinent facts and neither being under compulsion to buy or sell. Federal Housing Administration (FHA) Federal agency that insures mortgages with lower down payment requirements than conventional loans. Fixed-Rate Mortgage, Mortgage with an interest rate that remains constant over the life of the loan. Hazard Insurance Protection against damage caused by fire, wind storms or other common hazards. Many lenders require borrowers to carry it in an amount at least to the mortgage. HVAC Common building industry abbreviation for heating, ventilation and air conditioning systems. Index Interest rate or adjustment standard that determines the changes in monthly payments for an adjustable-rate loan. Infrastructure Public facilities and services needed to support residential development, including highways, bridges, schools and sewer and water systems. Inspection Examination of work completed on a structure to determine compliance with building code and other code requirements. Joint Tenancy Form of ownership in which the tenants own a property equally. If one dies, the other automatically inherits the entire property. Loan Origination Fee Lender will charge a fee for the cost of processing the loan, usually calculated as a percentage of the loan amount. Loan-To-Value-Ratio Relationship between the amount of a home loan and the total value of a property.Lock-In Rate Commitment from a lender to make a loan at a pre-set interest rate at some future date, usually for not more than 90 days. A fee may be charged to “lock-in” a rate. Mortgage Commitment Formal written communication by a lender agreeing to make a mortgage loan on a specific property, specifying the loan amount, length of time and conditions. Mortgage Origination Fee Charge for the work involved in preparing and servicing a mortgage application. Permit Document issued by a local government agency allowing construction work to be performed in conformance with local codes. Work may not commence until permits have been obtained, and each permit issuing agency must inspect the work at certain specified points during construction. PITI Principal, interest, taxes and insurance: the four major components of monthly housing payments. Point One-Time charge assessed by the lender at closing to increase the interest yield on a mortgage loan. Pre-settlement Walk-Through Final inspection of house prior to closing, conducted by builder and buyer. Principal Amount borrowed, excluding interest and other charges. Property Survey – Survey to determine the boundaries of a piece of property. Cost depends on the complexity of the survey. Recording Fee Charge for recording the transfer of a property, paid to a city, county or other appropriate branch of government. Specifications Contractual document describing in detail the work to be performed; method of construction; standards of workmanship; quality, type and manufacturer of materials and equipment for a particular project. Tenancy in Common Form of ownership in which the tenants own separate but equal parts. To inherit the property, a surviving tenant would either have to be mentioned in the will or, in the absence of a will, be eligible through state inheritance laws. Title Evidence, usually in the form of a certificate or deed, of a person’s legal right to ownership of a property. Title Insurance – Insurance against any title defects that may exist prior to the time the title is passed from one owner to the next, and which may come to light in a future transaction. Veterans Administration (VA) Federal agency that insures mortgage loans with very liberal down payment requirements for honorably discharged veterans and their surviving spouses.